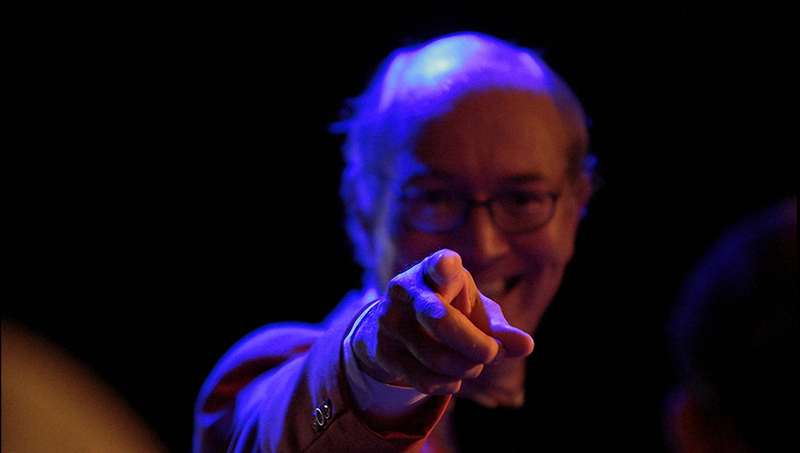 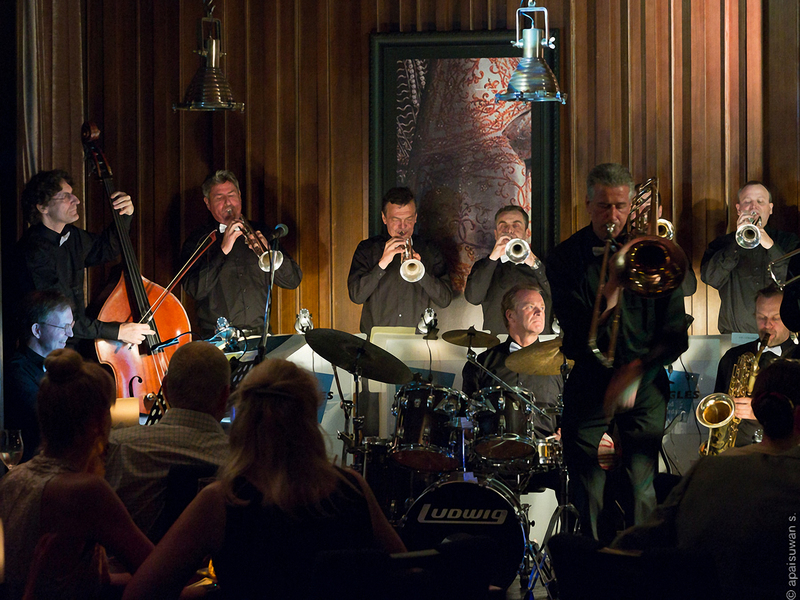 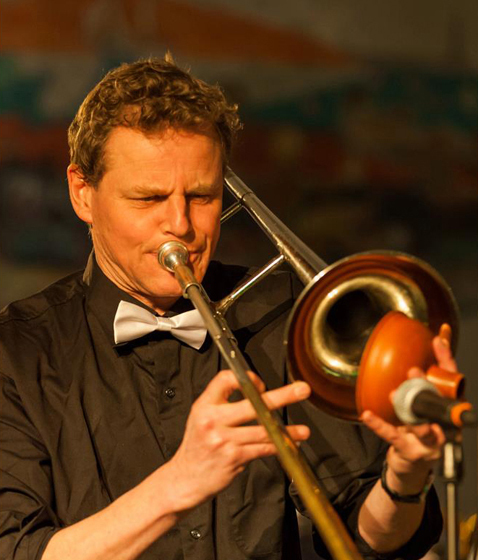 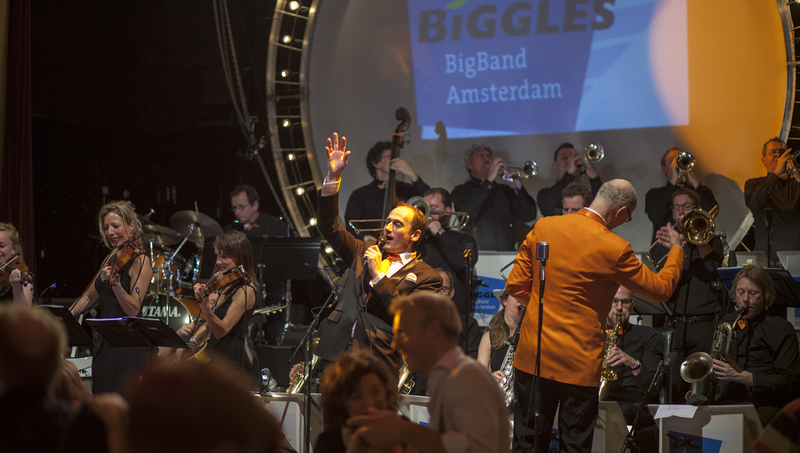 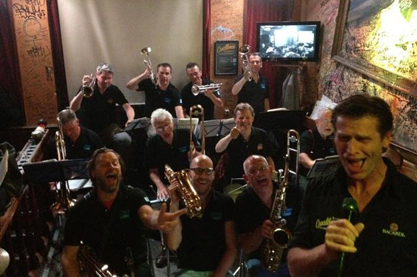 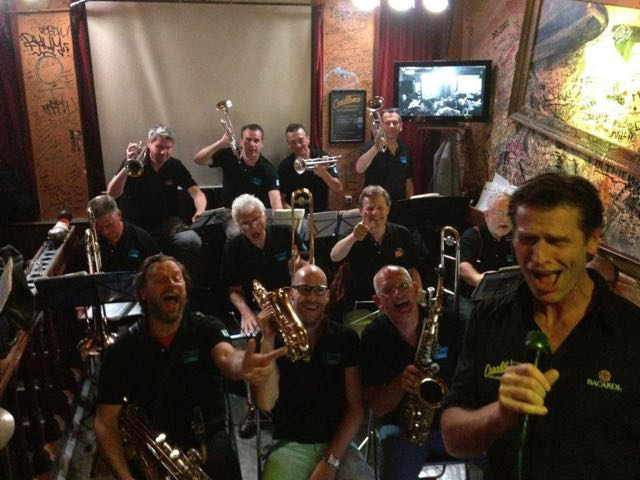 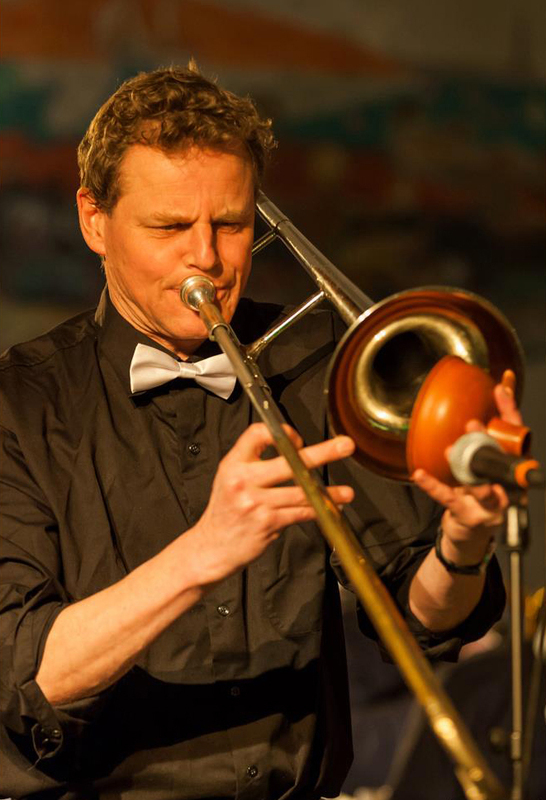 The Biggles Big Band is a 25-piece jazz orchestra from Amsterdam conducted by Mr Adrie Braat. 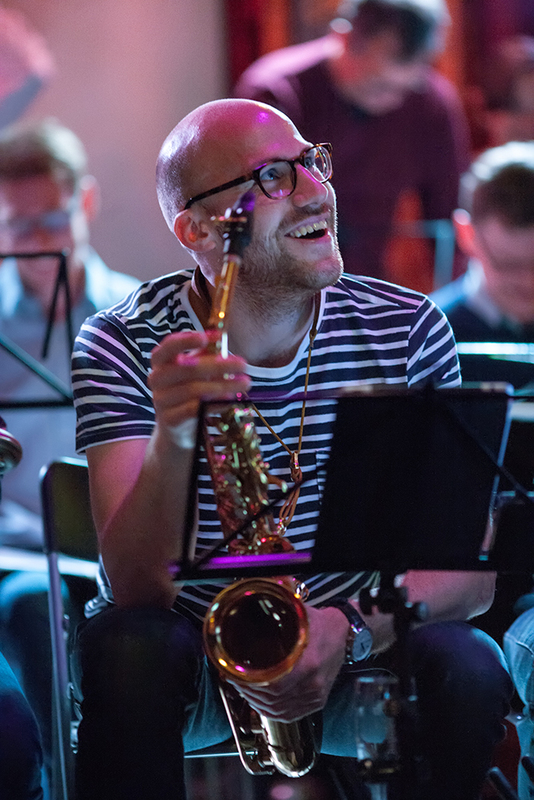 The orchestra consists of 4 trumpets, 4 trombones, 5 saxophones, guitar, piano, acoustic bass, drums and vocalist Marcel Fokker. 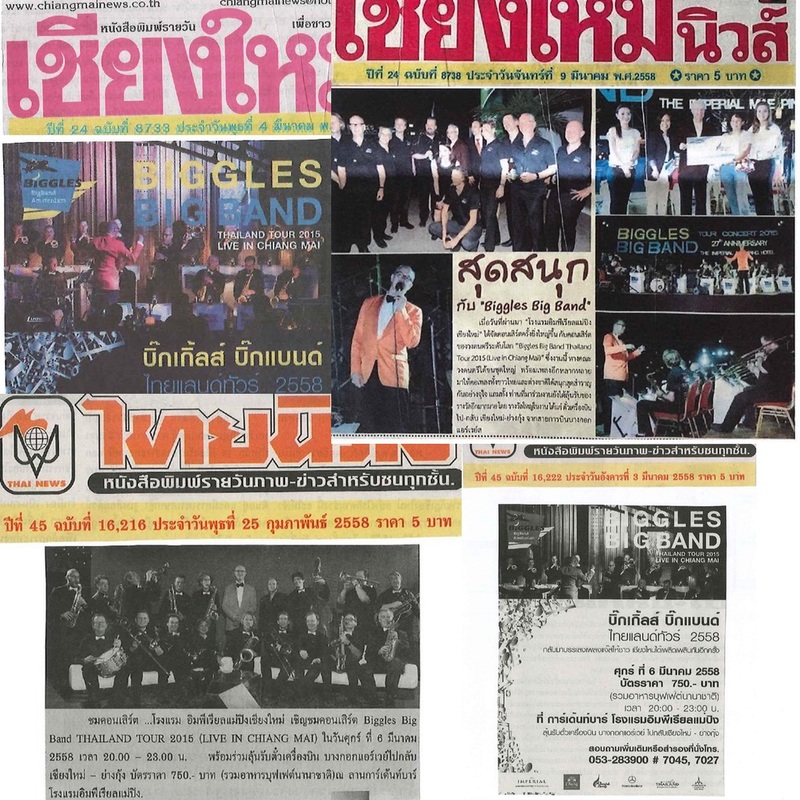 An extra string quartet consisting of 2 violins, viola and cello adds a sensational musical experience. 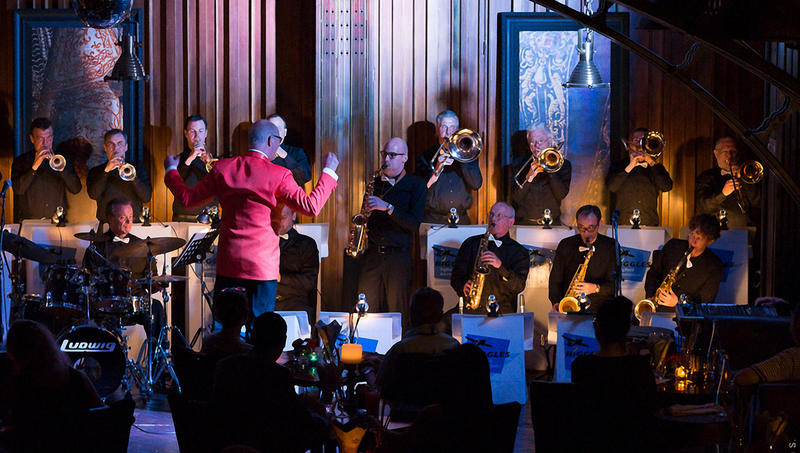 Let the Biggles take you to the swing era with magical sounds of Glenn Miller, Tommy Dorsey, Count Basie, Duke Ellington and jazz singers like Frank Sinatra and Dean Martin. Café Casablanca has been the home of the Biggles for over 20 years. 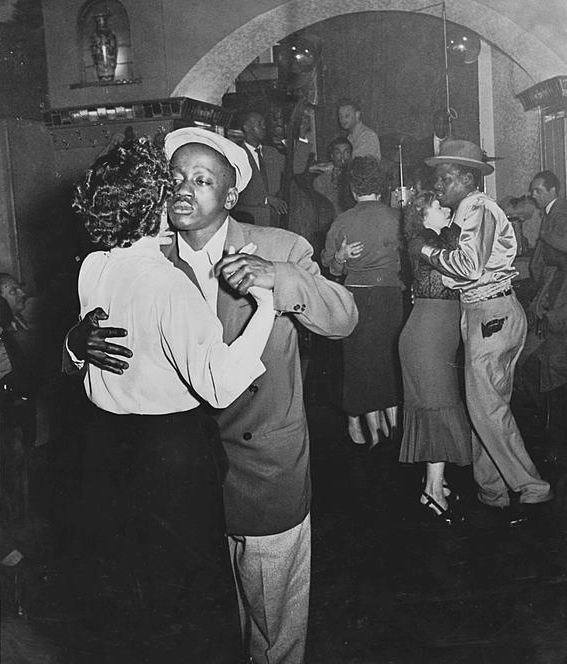 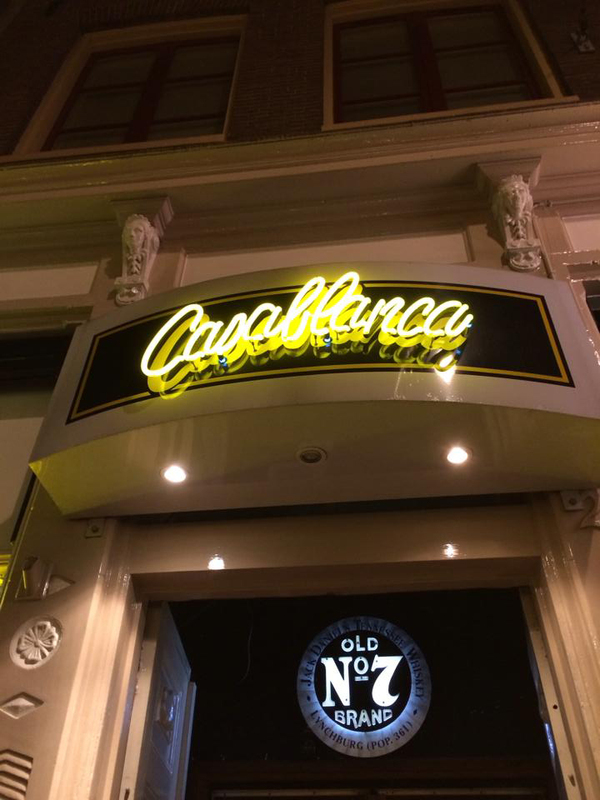 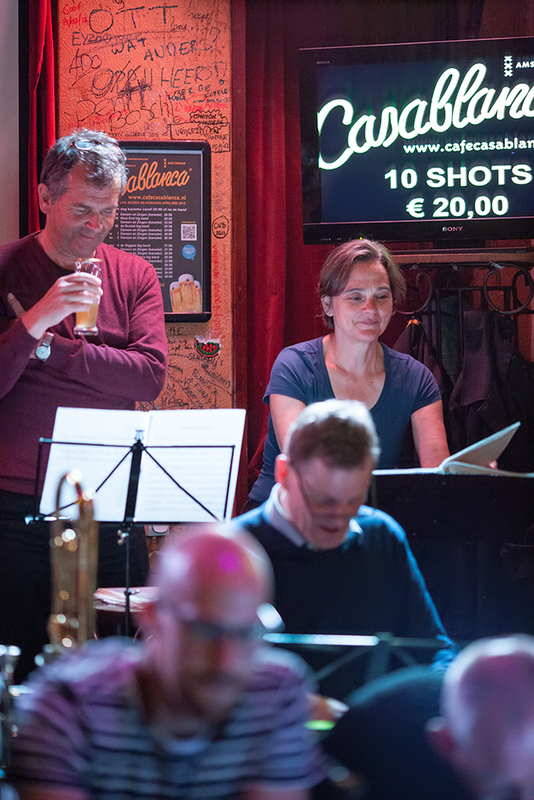 Located on the Zeedijk – one of the oldest streets of Amsterdam – the bar has a rich jazz history. 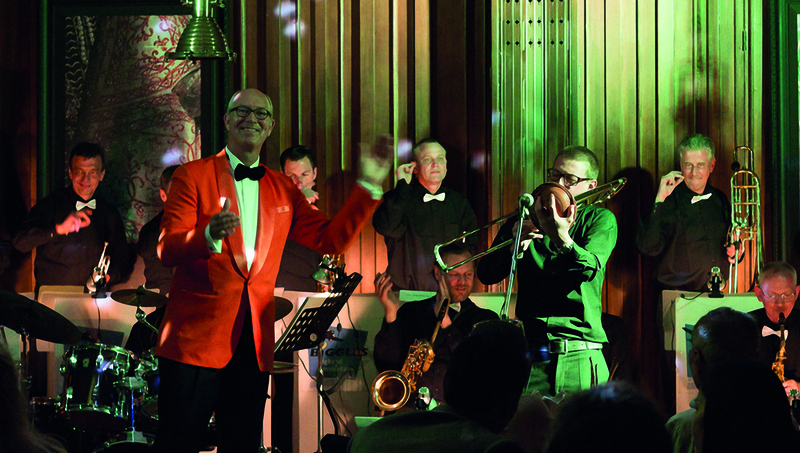 Come and see the Biggles every Monday night. 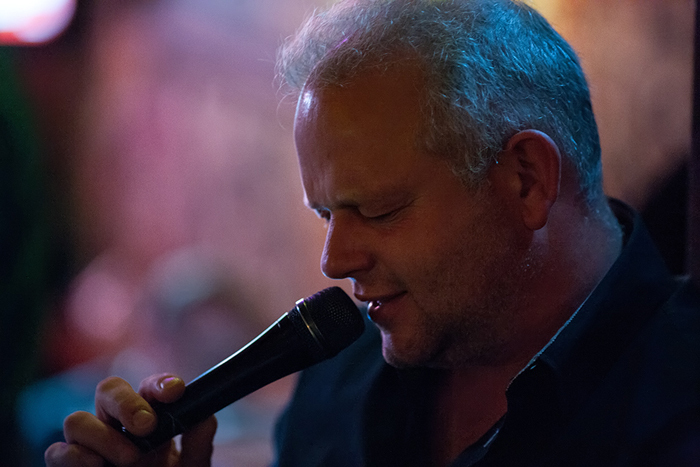 Sing with us during our S(w)ing Along every last Monday of the month. 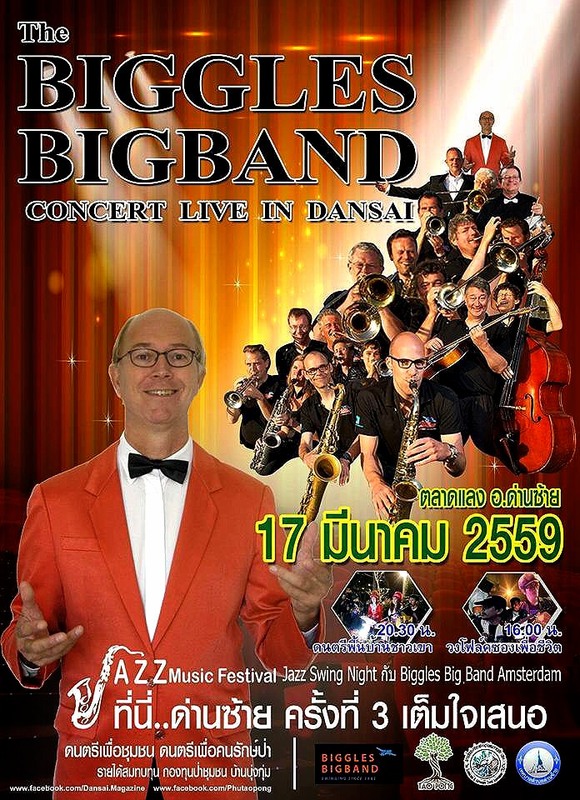 The Biggles Big Band has been on tour to Thailand for six times. 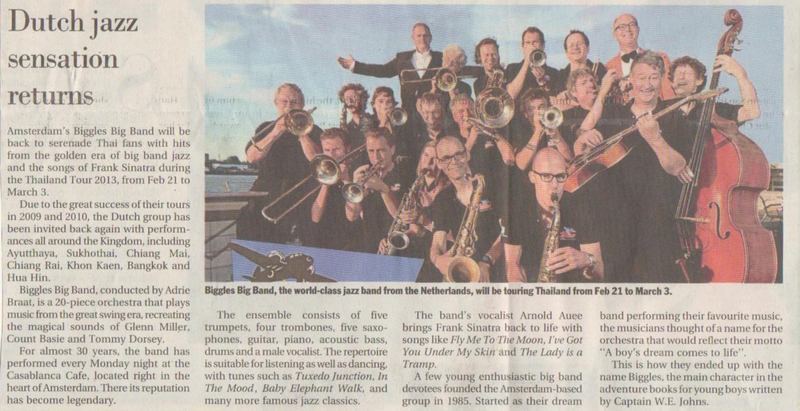 It has played throughout Thailand at Jazz festivals, luxury hotels and the Dutch Embassy. 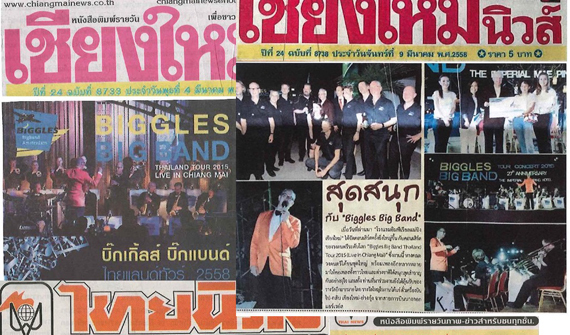 By playing a combination of swing era music and composition from His Late Majesty King Bhumibol Adulyadej, the Biggles has become a national phenomenon.